Get the latest education news and regulations via a single email. CEFMi is a unique comprehensive policy, guidance and advice website containing over 7,000 pages of text. No other website offers such a complete service specifically written for schools. If you would like a free trial of our CEFMi service, please click here. We will be running another series of our very popular management update events in the Autumn term.  Click this slide to see the current list of events. For more information regarding our services or to request a quotation, please complete our online enquiry form. Day to day advice can be quickly accessed via our telephone advice helpline. Giving access to solicitors, accountants, occupational health managers and educational practitioners, fast, accurate advice is always available. A named point of contact for those schools with complex, long running personnel issues where access to a single named advisor, rather than the main helpline team, would be advantageous. Our unique comprehensive policy, guidance and advice web service – CEFMi, contains over 7,000 pages of text. Recognised as one of the most comprehensive online resources for school managers and governors for its range and clear concise content, it offers a single resource blending policies, articles, updates, model forms and advice all in one location. The essential monthly email newsletter. 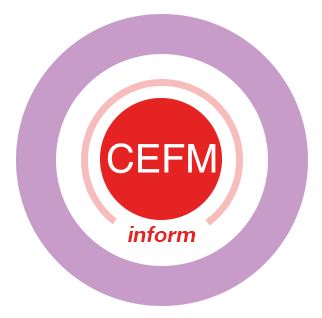 CEFMinform is a monthly, highly informative email update from CEFM’s experts on personnel, finance and management issues. The email highlights new guidance and initiatives affecting schools. It also includes a list of new additions and documents updated on the CEFMi member site. Essential briefing sheets for the education sector. CEFM education updates are highly valued for their straight forward summary of key issues effecting the education sector. Drawn from a wide variety of sources, they provide the essential facts in an easily digestible format. CEFM has purchased an employment protection insurance cover which indemnifies CEFM and our members for legal costs, expenses and compensation awards. We understand the issues and concerns that arise when changing provider. With this in mind, we will visit your school to ensure you understand how to get the best from our service and to address any handover concerns you may have. To ensure our members are fully briefed on changes in the education sector, CEFM runs regular management training seminars at easily accessible venues across the country. Members benefit from discounts on our specialist training courses at venues across the country. CEFM offers a wide range of on-site consultancy, tailored to your school’s or academy’s specific needs. We offer the most flexible terms available by any provider in the education sector including 30-minute billing, no mileage or travel time charges. CEFM mediation offers an effective alternative to costly and time-consuming internal procedures and can be used to resolve a workplace conflict. Our mediators can assist parties in reaching a resolution at an early stage to prevent matters escalating into a formal dispute. Providing a systematic method of assessing job roles to ensure that they fit appropriately within a fair pay system using non-discriminatory criteria such as knowledge and skills, effort and responsibilities. CEFM offers a number of services to assist with the recruitment of new staff either directly or through a network of preferred suppliers. A termly HR good practice visit, allowing you to ask questions on any aspect of the school’s HR function. Designed to be a preventative and planning service, the visits are best used to discuss forthcoming issues and to draw up a strategy to ensure the school follows best practice. The visits can also be helpful when considering significant changes such as transferring to an academy / MAT, restructuring, redundancy or changing terms and conditions for employees. A comprehensive health check of your website, followed by a full report to ensure compliance. It is our belief that each school is unique and requires a support package tailored to its own needs. Factors including staff numbers, in-house expertise and new partnerships can all influence the level and type of support required. with this in mind, it is our policy to visit each school in person to explain the services in detail to guarantee the school receives the best possible support. This service is offered without obligation. If you would like further information or would like to arrange a no-obligation visit to discuss our services in depth, please call on 01494 459183. Alternatively, complete our service Information request form by clicking the button below and we will contact you. The Centre for Education & Finance Management has been assisting schools on financial, educational, personnel and legal matters since the inception of Local Management of Schools in 1990. CEFM is an independent company solely focused on supporting schools. The company is wholly owned and directly managed by the directors – we are neither part of a larger parent company nor driven by shareholders. As a CEFM client you benefit from direct access to the owners and decision makers ensuring you receive the level of support you need.